Our blog features suggestions, ideas and top tips from our London travel experts. Finding things to do in London is never a problem. Slightly more challenging when you don’t know a city well is finding fun family activities that aren’t going to burn too big a hole in your pocket. We’ve pulled together a selection of free attractions and places to visit that make great days out for all the family, as well as a couple of budget-friendly options. Even we Londoners recognise that we’re spoilt for choice! 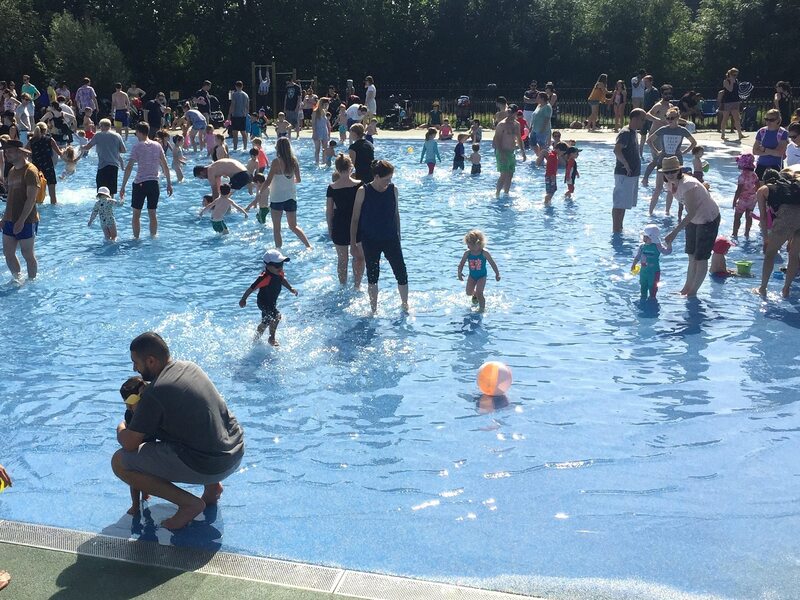 All of the central London parks – Hyde Park, Regents Park, St James’ – provide the perfect antidote to adults and children in the middle of a heavy day of shopping or sightseeing. Plenty of open space to let off steam is probably all the kids need but time your visit to St James’ Park carefully and you can watch the pelicans being fed (2.30pm each day). 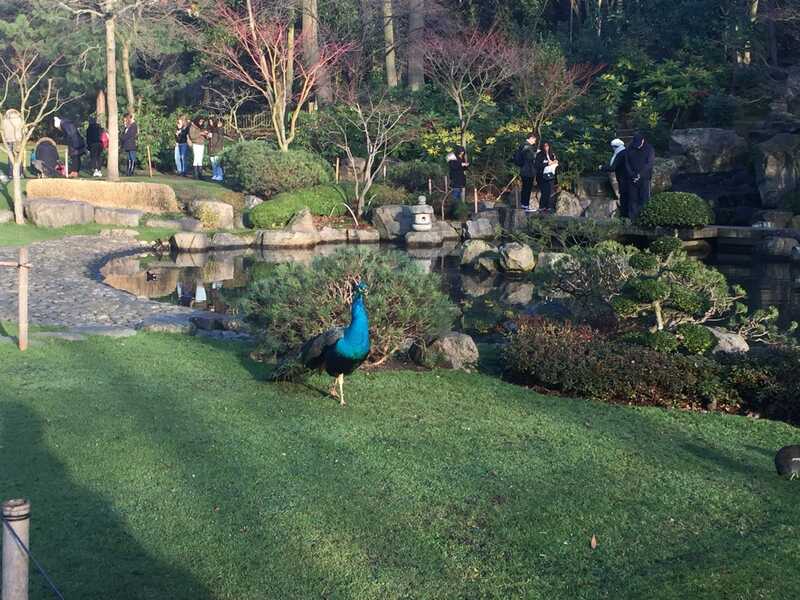 At Kew Gardens, entry to the indoor play zone is free for children while at Holland Park, there is the added attraction of the peacocks in the Kyoto Garden. Make the world of Harry Potter a reality with a visit to King’s Cross station and specifically, platform 9 ¾. Although not the actual film location, most Harry Potter fans will love the thrill of having their photo taken at the station. Urban beaches are all the rage. This year, there are beaches planned at various locations across the city. Neverland London is a pop-up urban beach complete with palm trees, painted beach huts, swings and summer cocktails in Fulham. At London’s Royal Docks, chill out on a stretch of sandy beach where there is also street food, pop-up classes and more. 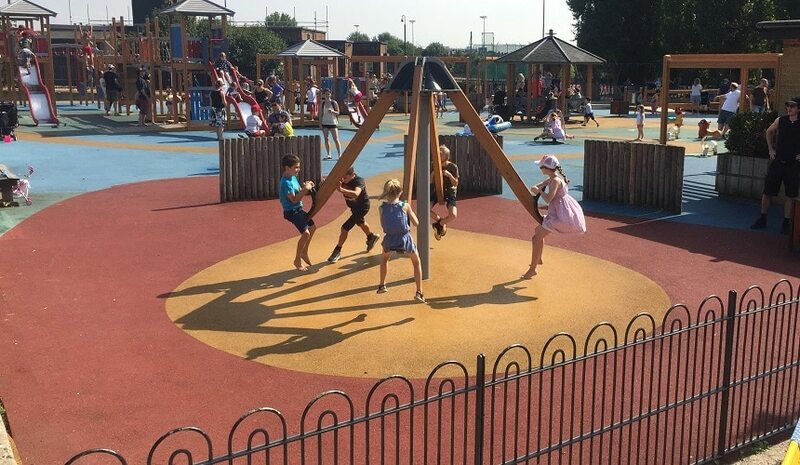 Parliament Hill Fields Playground is a lovely outdoor space for under-10’s, with swings, slides, a sand pit and huge paddling pool (late May-early September). Step into a world of classic British pageantry with a free performance of the Changing the Guard at Buckingham Palace. Equally entertaining but altogether different, Covent Garden ensures the quality of its street performers – acrobats, magicians, clowns and fire-eaters – by implementing an auditions’ system. Opera singers and classical musicians tend to perform on the lower level of the Piazza. We love London Zoo but a family visit can be pricey: Battersea Park Zoo is a much more affordable alternative. By contrast, entry to city farms is free. Try Vauxhall City Farm or Hackney City Farm, between Broadway Market and Columbia Road, or Spitalfields City Farm. 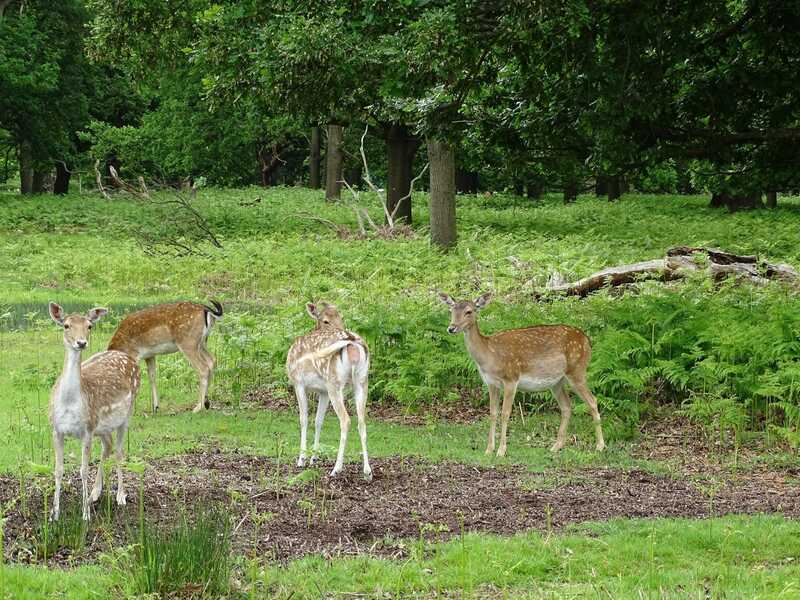 Alternatively, head to Golders Hill Park or Richmond Park to see deer. Get free tickets to London’s highest public garden, the Sky Garden. The supersize glass dome on Fenchurch Street provides three floors of landscaped public gardens, with observation decks and an open-air terrace with jaw-dropping views. Buy from a limited number of tickets released at the start of each week up to three weeks in advance. Find out more and book tickets online from the Sky Garden. Meanwhile, the Shard offers Kids Go Free on selected dates. Most of London’s museums are free for all the family. 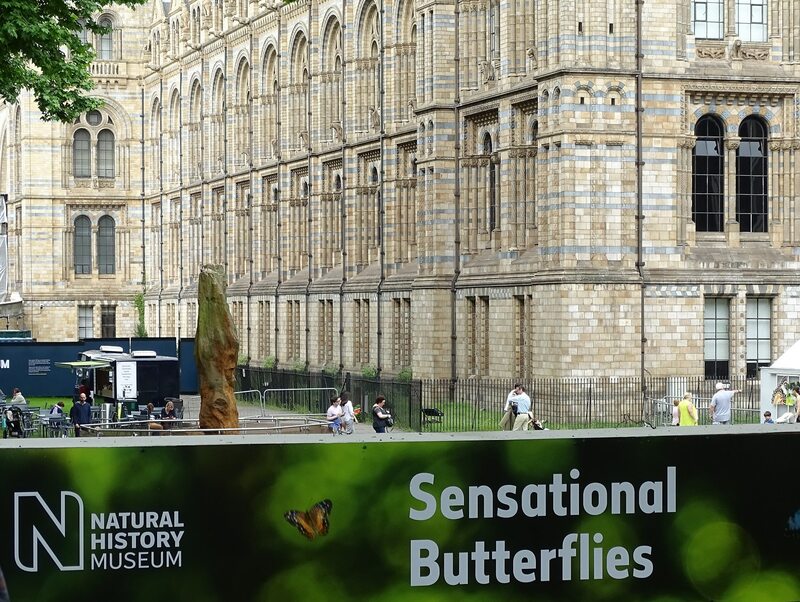 Amongst the most popular are the Natural History Museum (who doesn’t love a dinosaur?) and the Science Museum. At the latter, kids can take part in Live Science experiments and mess around with interactive exhibits and techniques. Other favourites include the Victoria & Albert Museum of Childhood and the London Transport Museum, which is free for under 17’s. Tate Modern and Tate Britain are both free for adults and children. The National Gallery offers free Magic Carpet storytelling and Art Adventures to under-5’s on Sundays and drawing workshops for 5-11 year olds. Check what’s going on at the Southbank where you can often find free music, storytelling, dancing and family friendly shows. You may also be able to find half-price tickets for under-16’s at selected ticketed events. Elsewhere, for the whole month of August, Kids’ Week offers free and reduced kids’ theatre tickets across London. Each full-paying adult gets one free kids’ ticket and families can buy half-price tickets for up to two extra children.